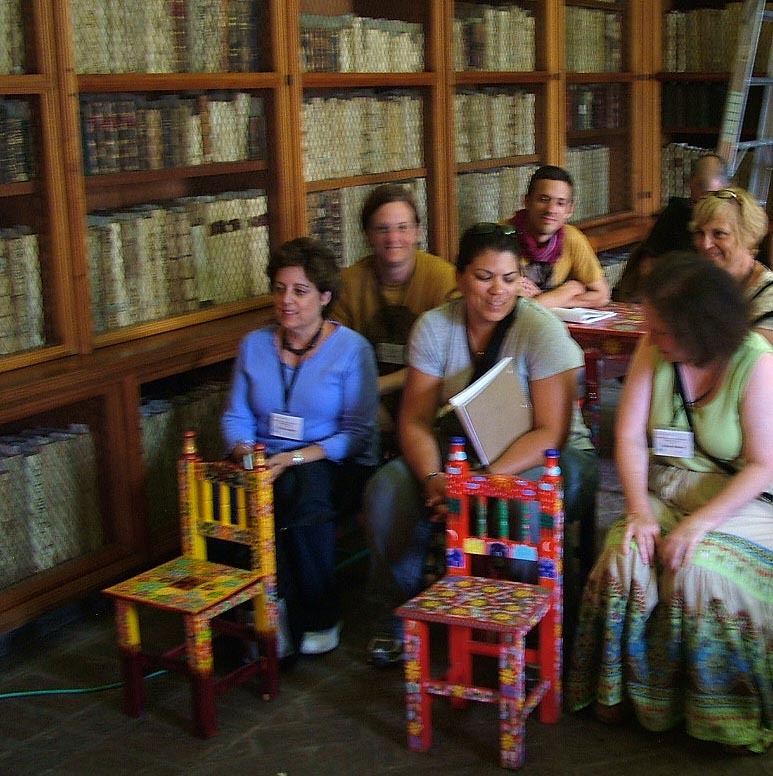 On this page we will be assembling materials about this excursion destination, as a way of preparing you for the visit and providing resources for possible use in teaching about codices and manuscript restoration. 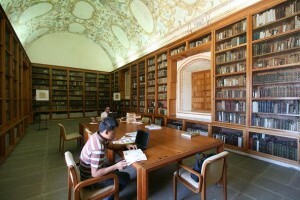 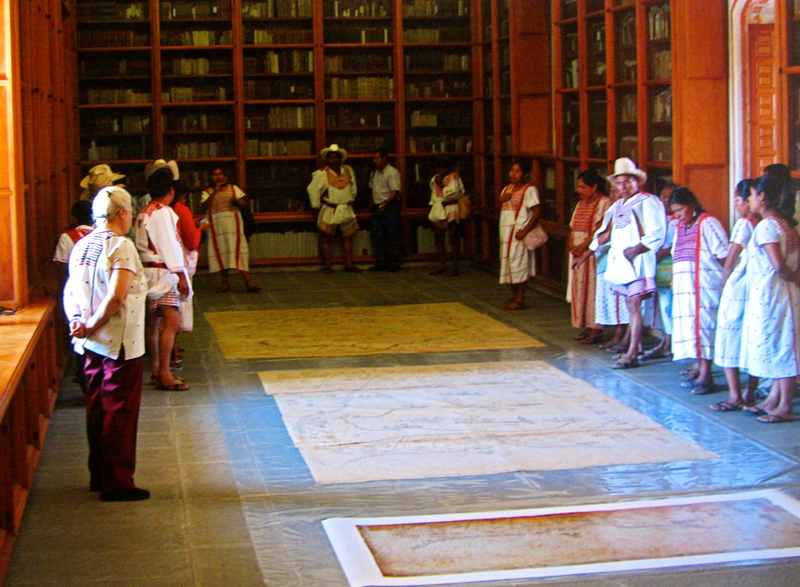 The Burgoa Library is an impressive library and archive for rare books and manuscripts, located in a former Dominican monastery adjoining the Santo Domingo church. 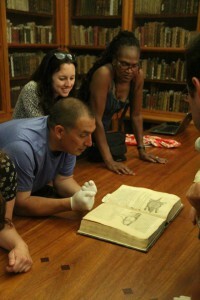 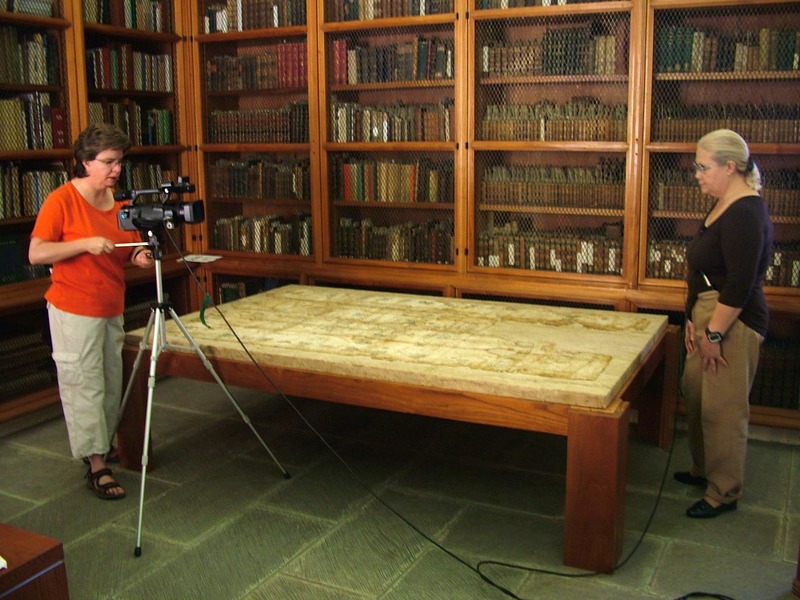 In 2014, NEH Summer Scholars were allowed to see and browse some rare books, such as guides to herbal remedies and other pieces of significance for ethnobiology. L-R, NEH Summer Scholars Michael Peńa, Tamara Weiss, and Rita Baker. 2014. 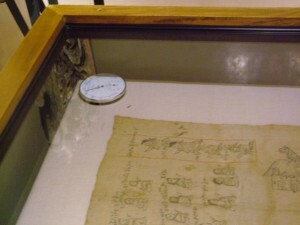 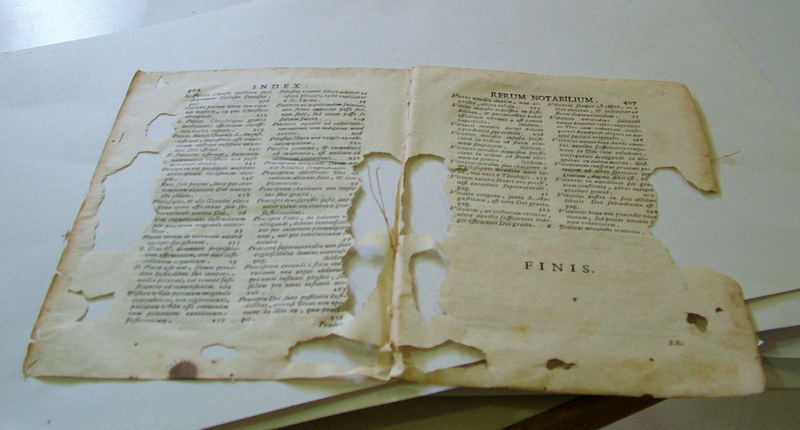 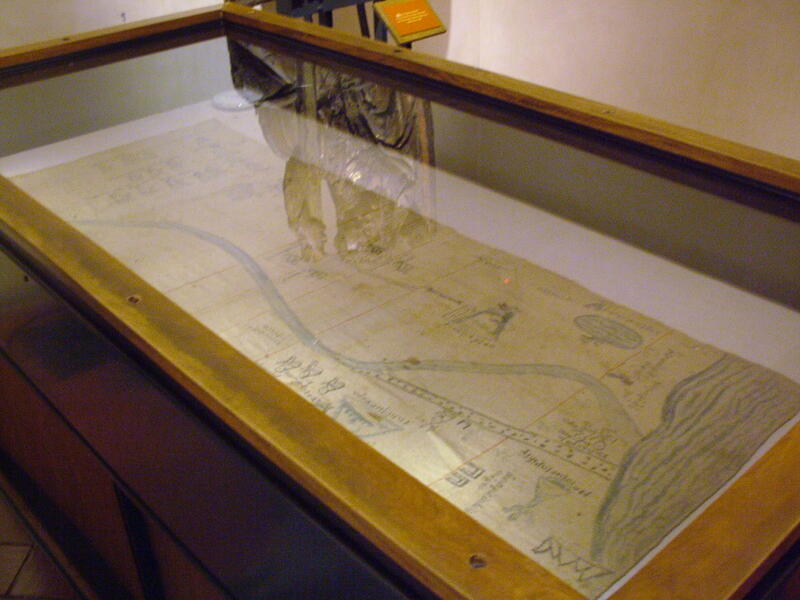 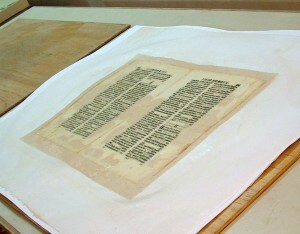 In 2006 the Maestra María del Refugio (“Cuquita”) demonstrated the restoration of a religious document, as show in the before and after images below. 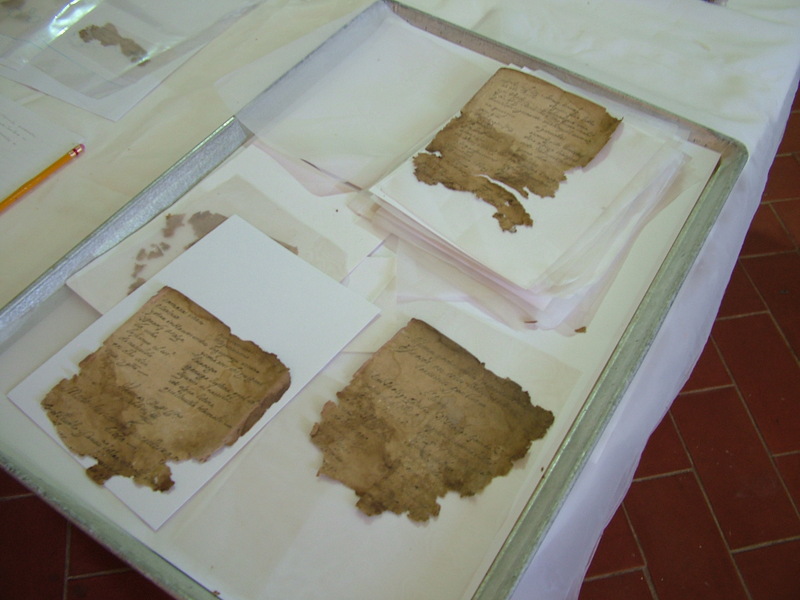 Below are some fragments of a mass written in the Chontal indigenous language. 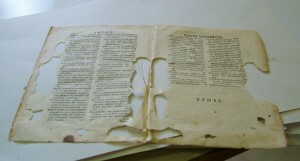 They were in the process of being restored in 2006.